The target audience for Roger Bennett and WNYC’s American Fiasco is an American sports fan who has yet to fall in love with professional soccer, someone like me and possibly you. The show is an excellent oral history of the US Men’s Soccer team’s spectacular failure at the 1998 World Cup. It’s also an investigation into America’s hot-and-cold relationship with soccer. Bennett wants us to know that the 1998 failure is part of the fabric of American sports culture, one that struggles with the notion that Americans could care about a sport in which they’re not always champions. The details of the fiasco make for easy listening. 1998 was supposed to be the year that US Men’s Soccer arrived as both a world power and a point of national pride. After hosting the 1994 World Cup and making it past the first round, the American team played the next few years with elevated expectations and, for the most part, improved results. Soon, the US had recognizable stars and a brand new soccer league. Then, in 1998, adultery, mistrust, unhappy veterans, and non-stop press leaks struck, and the team finished 32nd out of 32 teams. The timing of Bennett’s project is excellent beyond the obvious reason of the upcoming games. Two decades removed, the players, coaches, and soccer officials who make for Bennett’s sources have vivid memories but softened feelings, and are no longer interested in getting each other fired or kicked off the team. But the nature of the World Cup lends the podcast a fascinating seriousness. The fate of American soccer is as much the topic of most interviews as the 1998 tournament. 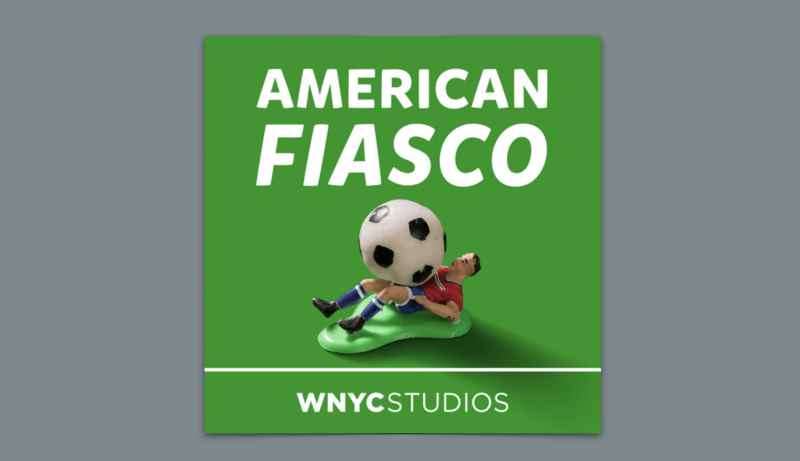 From its first episode, American Fiasco makes clear its intentions to both win over unconvinced American sports fans and offer something new to US Soccer diehards. That makes balancing melodrama and analytics a necessary task for Bennett. Many of his interviewees blame coach Steve Sampson’s constantly-changing schemes for the team’s inconsistency, requiring Bennett to explain the complicated ways soccer offenses operate. Bennett is an enthusiastic guide through the machinations of coaching strategies, and also an excellent play-by-play announcer. In order to dramatize in-game retellings, he often narrates the beginning of a goal-scoring opportunity, explaining the positioning of players, then fades himself out as the audio from the original broadcast takes over. It’s a thrilling collage of exposition and archival audio, one that gets us close to the drama of real-time play. “Steve” and “Captain for Life” both start as profiles, the first of head coach Steve Sampson and the second of John Harkes, whose run as team captain was cut short by off-field drama. The relationship between these two men was the backbone of the team’s mid-90s success and its ‘98 collapse. Sampson was the likable young coach who gradually turned into a disciplinarian, while Harkes was the affable captain whose rumored-affair with a teammate’s wife got him kicked off the team. Sampson and Harkes’ story arcs are essentially similar: a young American who loved soccer and never thought he’d make it to the World Cup, then makes it to the national team only to suffer disappointment. The approach works. As part of American Fiasco’s larger mission to make us fall in love with American soccer, Bennett finds the likability inside each character. It’s these simple stories, about nothing more than excitable young people loving sports, that make a show about losing such a pleasure. “The Chateau,” American Fiasco’s peak, is a bizarre chamber play inside a sports documentary. In the weeks leading up to the World Cup, Steve Sampson and the American Soccer Federation reserved a five-star chateau for the players — the perfect place to relax, practice, and find some solitude. But for a team with intense dysfunction at its core, solitude and isolation combined to create widespread mania. Players spent hours talking to animals and losing unending poker games. The episode is a comedy of insanity, and also proof of the truly strange way we think of athletes. They are neither poets who voluntarily hole up to stare out into boundless nature nor soldiers required to go through basic training. They are adults as vulnerable to stir-craziness as the rest of us. The character-driven approach pays off in the show’s final episodes, when the airing of grievances continue and the wounds of 1998 prove lasting. The team hasn’t gotten over its first round exit, even if American sports fans have let it escape from the collective memory. The dialogue surrounding soccer in America today remains similar to that of 1998: the sport itself is healthy, but the conversation is still beholden to ideas of impotence. American Fiasco is Bennett’s admirable effort to redirect the conversation, to make Americans care about the history of soccer in this country despite our lack of trophies. Sports narratives, exhausting as they often are, give our fandom shape beyond championships. For obsessives like Bennett, the romanticizing of the good and the bad alike is what makes a lifetime of rooting so rewarding.